Ryan and Sons 54ft Cruiser "Lord Nelson"
Timber Spotted gum planked (2" x 5"). See full construction details below. 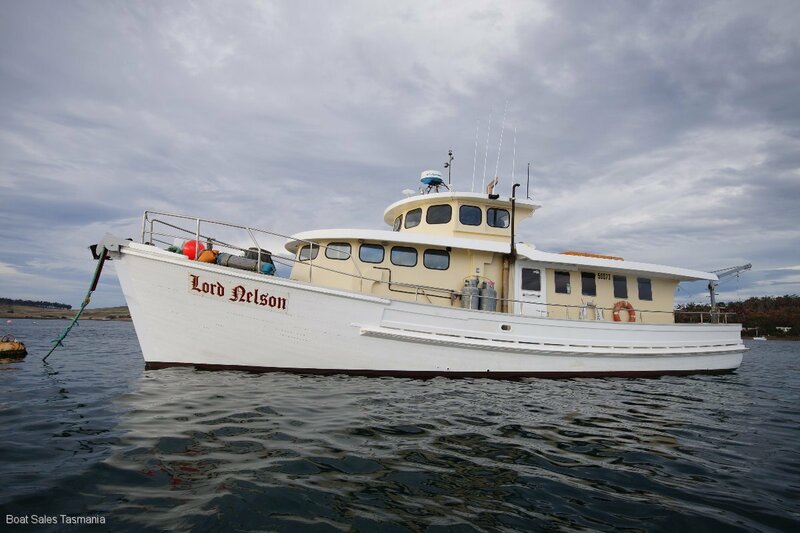 Strong, spacious go-anywhere expedition vessel in excellent condition. 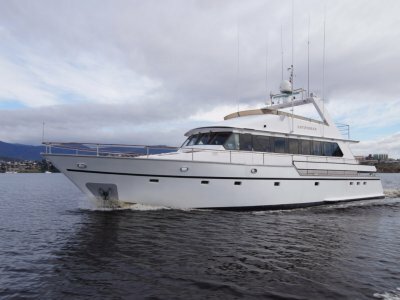 Huge refit undertaken over the past ten years to create a seriously good liveaboard. 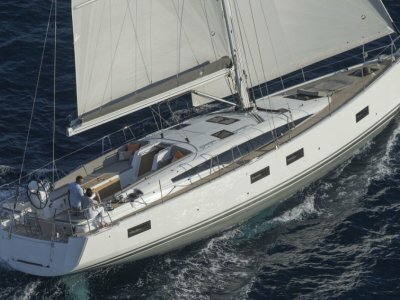 From the keel up, the owner of "Lord Nelson" has spared no expense to create his dream cruiser. 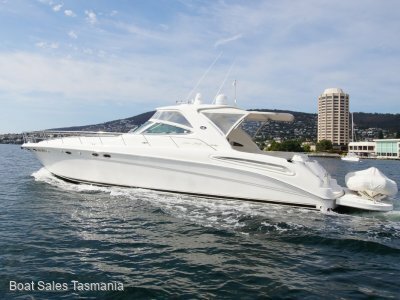 Some of Tasmania's best tradesmen have worked on her and she is now ready to cruise off into the sunset, around the Kimberleys or to explore the most remote parts of Tasmania. Sadly health issues mean the current owner won't be aboard to realise his dream but a new owner will enjoy the result of this massive project. 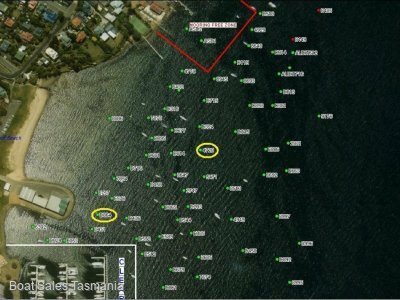 Owner keen to sell and will consider reasonable offers. Volvo TAMD 120A 380hp 6-cylinder diesel (2000). Twin-disc 514 gearbox 4.1:1 Shaft-drive with white metal bearing. 4-blade propellor. 5 tonnes in 5 tanks. Stessl 3.6m aluminium dinghy. Dinghy davits. Walk around well-protected decks with high bulwarks and solid stainless handrails with gates both sides. Two steps up ont the foredeck. Sheltered aft deck with storage lockers, petrol generator and access to substantial davits with manual winches and steps. Easy access to cabin top. From deck level, enter the fwd cabin where the galley and dining area are situated. Steps fwd lead down into the 4-berth crew cabin. Moving aft, climb up into the wheelhouse or, on the same level, proceed back towards the lounge, bathroom and master cabin. The wheelhouse is acomprehensively equipped "command centre" with full electronics, fantastic visibility and a single, pilot berth. Stairs down fore and aft. Engine room access is in the aft lounge area and there is a 240V washing machine and port-side door. The lounge area has seating for 3-4 around a small table with TV above. The master cabin occupies the stern and has a double berth, storage and plenty of light with windows both sides. The bathroom has a toilet, shower and handbasin. It can be accessed from the deck and the lounge. Heat pump. Finish throughout is simple, clean and bright ad the result is a spacious and comfortable "home". Sleeps six in four single berths and one double. Manual marine toilet with 800-litre holding tank. 2 x flat screen TVs. DVD player. Domestic-size Consol fridge (240V/gas) in galley. Hi-sense 240V chest freezer aft. Venini 4-burner stove with wok-burner, grill and oven. Two 100lb gas bottles. Electric anchor winch (three-phase 240V). Bruce anchor with NEW 5/8in chain. 2 x 24V bilge pumps. 1 x 240V bilge pump. Five batteries: 2 x house, 2 x engine, 1 x genset. Portable petrol genset on aft deck. 2 x 200W solar panels. Plotter: CPlot Max with CMap Max Pro, charts, 24" monitor operated via a pure sine wave inverter (Whole system NEW 2014). NEW stainless steel handrails with opening gates port and stbd. NEW massive sampson posts aft. NEW custom davits incorporating steps. Hull completely re-caulked with oakum and Sikaflex. Superstructure redesigned, with wheelhouse extended to create accommodation. NEW ply/dynel-sheathed decks and cabin tops. NEW steel slipper fitted to keel. Planking: 2" 5" Spotted gum. Frames: 75mm 43mm @ 215mm centres.